The holy mass is held in the morning in an overcrowded church. 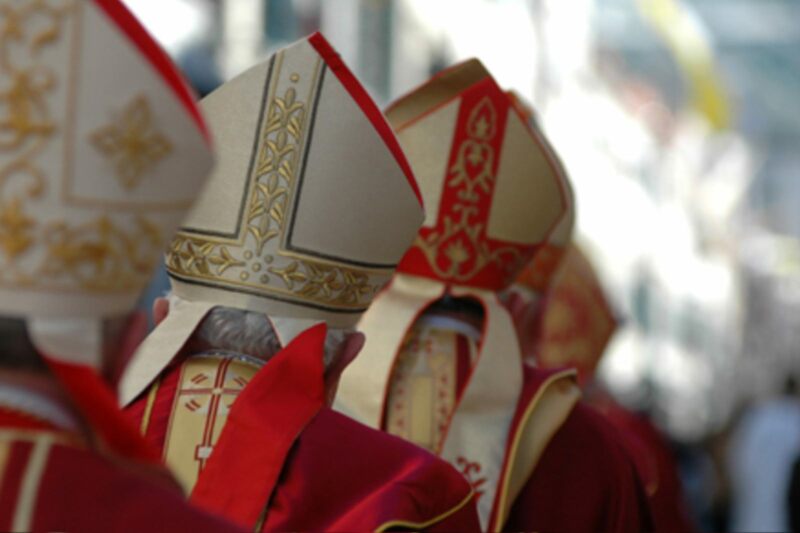 Afterwards, a procession of priests and churchgoers line up for a procession through the street Ulica od puča. 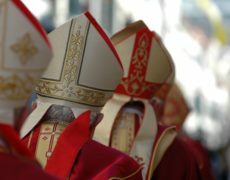 Holy reliquaries are carried on this occasion: the Byzantine crown of St. Blaise, the hand and leg reliquaries, the holy monstrance, and the shroud of Jesus. 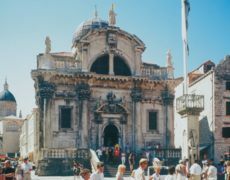 This multitude proceeds along the main street of Dubrovnik, the famous Stradun, and subsequently returns to the church. 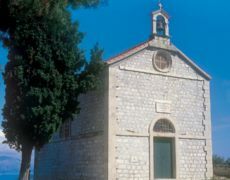 In Dubrovnik, the ruins of the Church of St. Steven located at Pustijerna is tied to one of the most beautiful and most important legends of this southern city of stone. 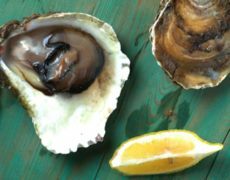 According to the tale, Venetian ships anchored before the city walls on the eve of February 03rd, 971, in the middle of winter. The Venetians gained free access to medieval Dubrovnik under the pretense of stocking up on food and water for their journey eastwards. 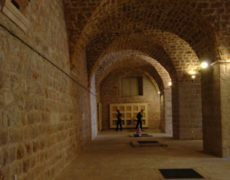 However, their spies carefully noted the number of guards on the city walls, as well as the amount of amunition in the arsenal. In the middle of the winter night, when the streets lay deserted, Priest Stojko, the parish priest, went from the city square towards Pustijerna and the Church of St. Steven. He found the church open, and inside, the troops of a heavenly army led by a grizzled old man. 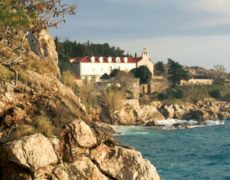 He addressed the priest with a request that he inform the city fathers of how the Venetians planned to attack Dubrovnik. The old man had repelled them from the city walls with his own army for a number of nights already. 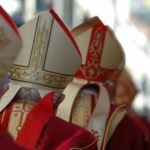 He was garbed as a bishop, with a mitre on his head, and a staff in his hand.  When Stojko asked him to identify himself, he answered that his name was Vlaho. 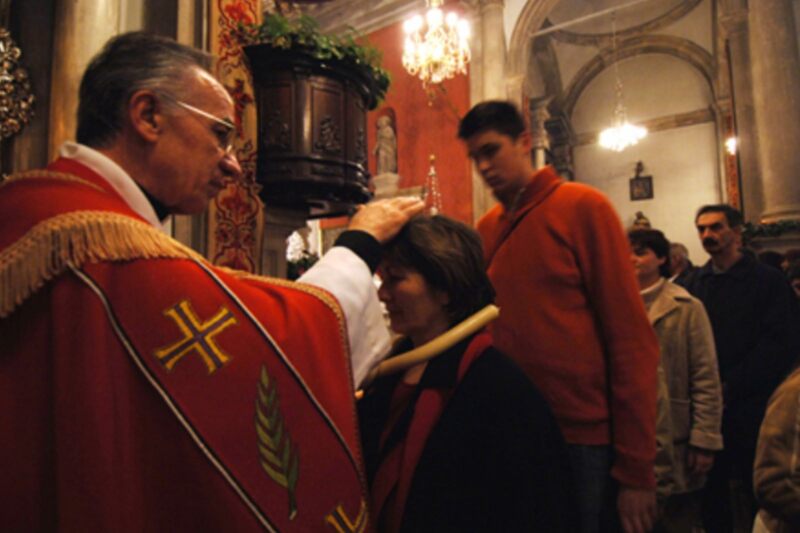 So it was that on a winters night, Dubrovnik met its patron, St. Blaise. The next day, his messenger did in truth confront the city fathers with the message. The Venetians knew that they had been discovered when they noted the hasty activity on the city walls and the closed city gates, and so moved on. 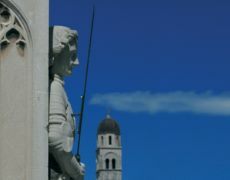 Already in the following year, in 972, Dubrovnik began to celebrate a day in honour of the patron saint. His first church was built near the city gates. A century of prosperity and freedom would pass. 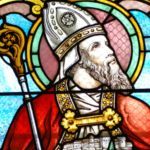 It was only in 1026 that the first remains of St. Blaise, the martyr and bishop of Sebaste, were transferred to Dubrovnik It is known that he died a martyrs death for the emperor Diocletian, and that he lived in the 3rd century in Sebaste in Capodocsia. 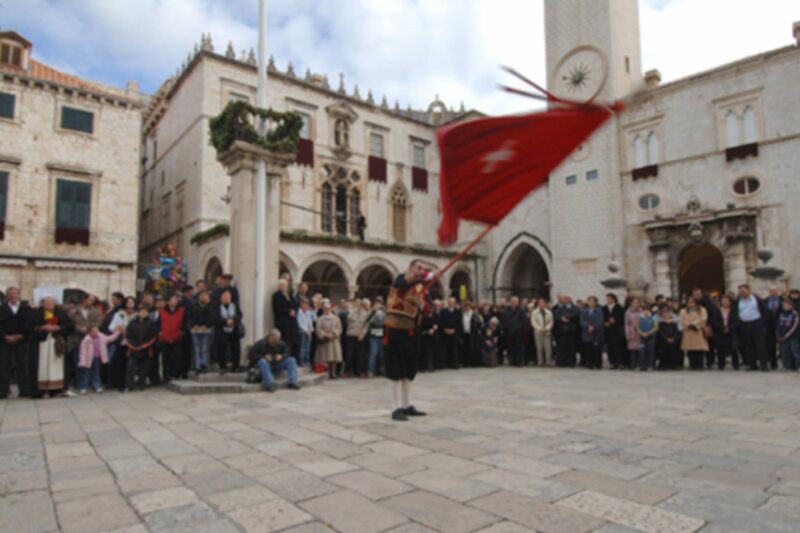 The citizens of Dubrovnik marked February 03rd as their greatest holiday in memory of the nights events. A day when the city gates are wide open to all friends and churchgoers of the region. In former times on the saints day, the Rector would leave the palace wrapped in a red toga. 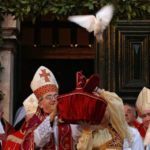 The Bishop of Dubrovnik would hold a mass for all the gathered nobility, the city plebeians and the priesthood. In front of the Palace and the Rector, specially garbed market-maidens would dance with baskets overflowing with figs, oranges and freshly baked rolls. 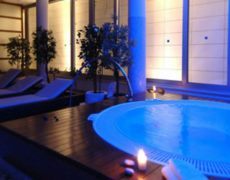 The city would be festively decorated. 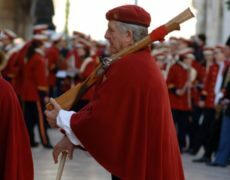 Churchgoers would arrive in festive national costumes from far away village parishes, that extended to the far reaches of the Dubrovnik Republic, carrying their church banners. Not much has changed in over a thousand years of patron saint celebrations in the city located under Mount Srđ. True, Dubrovnik no longer has its Rector or nobility, but the beautiful stone Rectors Palace is still here. As well as the neighbouring baroque Church of St. Blaise, and up towards Pustijerna, fourth in line, the Dubrovnik Cathedral. 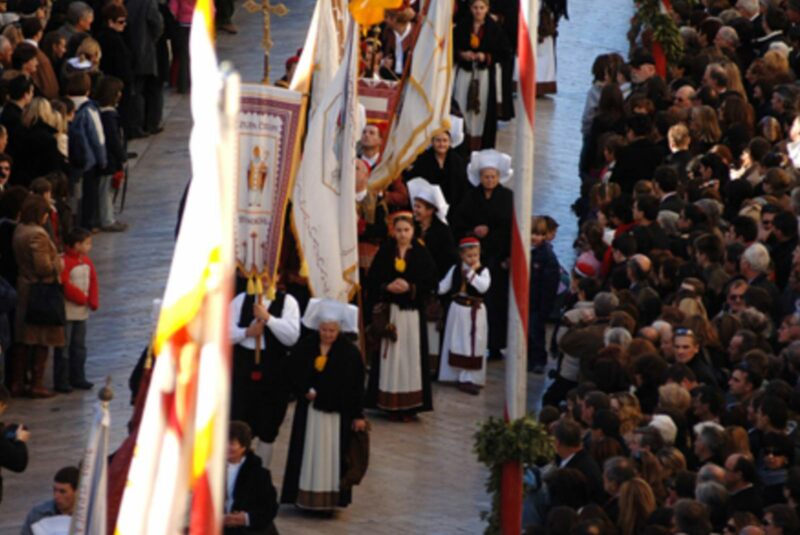 Regularly, on February 02nd, Dubrovnik celebrates its Virgin Mary Candlemas. An old saying is then repeated: Candelora, winters gone, followed by Saint Blaise, who says it is untrue. Indeed, on this day, when inland cities are bathed in rain, and Europe is frequently swept by snow, Dubrovnik is full of mimosa, narcissi, and - sunny, springtime days. 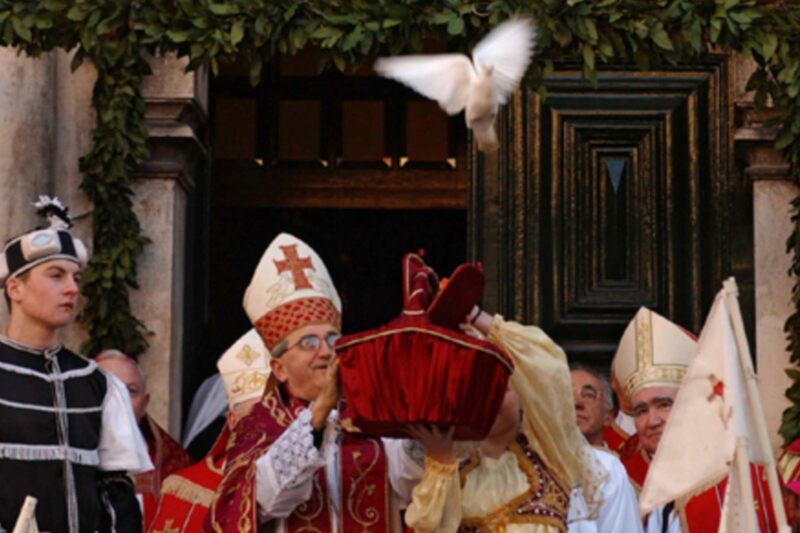 In the morning, white pigeons are released in front of the saints church, and prayers are said in front of the altar by the faithful the entire day. 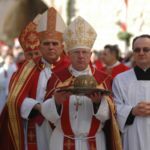 The priests bless everyone with a cross shaped out of two intertwined candles, and raise a silver monstrance to their lips, the work of Dubrovnik goldsmiths. The monstrance contains a bone from the throat of a saint known as a miracle-worker in Sebaste, who healed by touch. 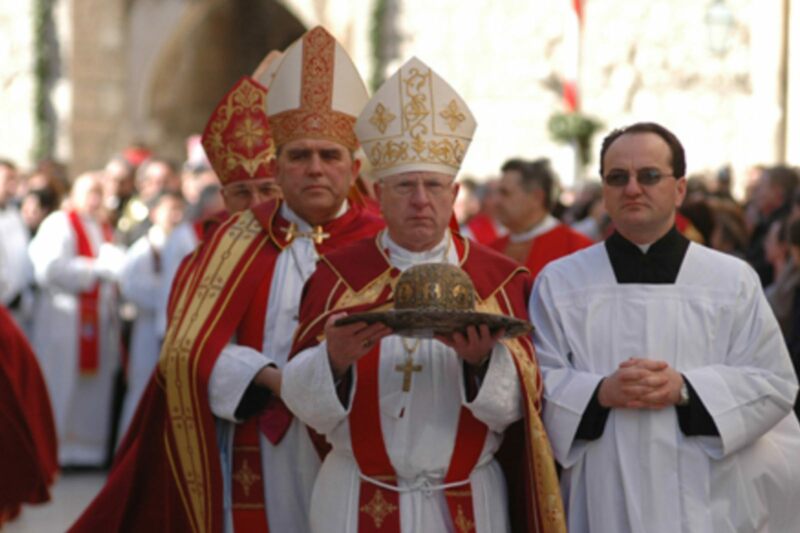 On the saints day, churchgoers arrive from distant Dubrovnik areas, dressed in national costumes. 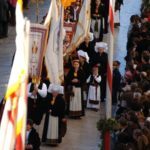 They carry their church emblems, and as they come before the church, they salute the patron saint by twirling the banners in such a manner that they never touch the ground. The holy mass is held in the morning in an overcrowded church. Afterwards, a procession of priests and churchgoers line up for a procession through the street Ulica od puča. Holy reliquaries are carried on this occasion: the Byzantine crown of St. Blaise, the hand and leg reliquaries, the holy monstrance, and the shroud of Jesus. This multitude proceeds along the main street of Dubrovnik, the famous Stradun, and subsequently returns to the church. 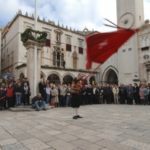 In Dubrovnik on this day, it is difficult to say what is more beautiful and more exciting: the national costumes of Primorje, Župa Dubrovačka or Konavle. It looks like the return of old traditional times. Focus is drawn towards the colorful church banners, and their fluttering, on the square behind Orlando and the group of trombunjera, who carry short, broad rifles on their shoulders. Long ago in Dubrovnik, the noise they issued used to frighten enemies away. 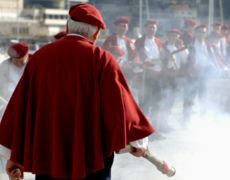 They emit volleys before entering the city, and at Brsalje, where rifle and cannon shooting were practiced in the days of the Republic. Only when the city is covered in evening darkness, and the saints reliquaries are resting in the treasury, do the village confraternities return home. Green laurel wreaths decorate the front of the beautiful baroque entrance of the saints church, while the stained-glass windows on the façade shine. 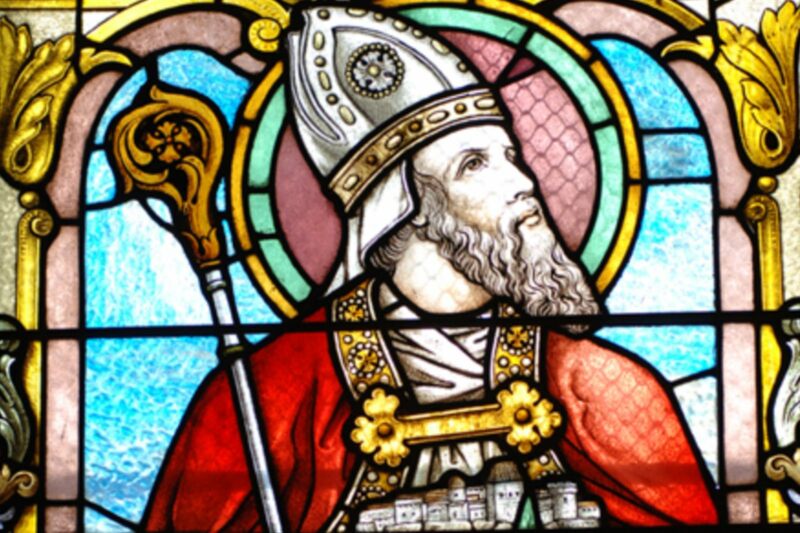 The statue of St. Blaise gazes down at the passers-by from the city walls, elaborate buildings and churches, with an outstretched hand that holds a model of the city as it has for centuries, as if to bring it closer to the heart and embrace of the patron.